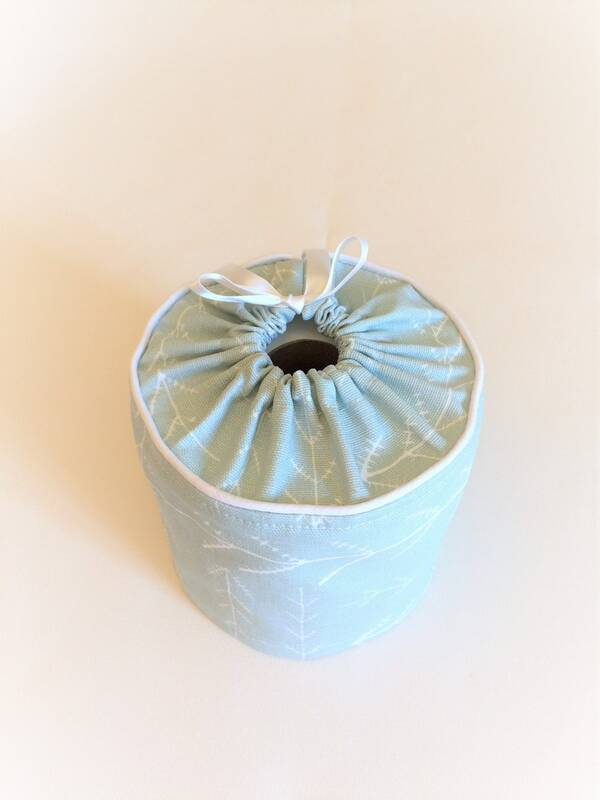 A summer blue toilet paper cover for your bathroom decor. 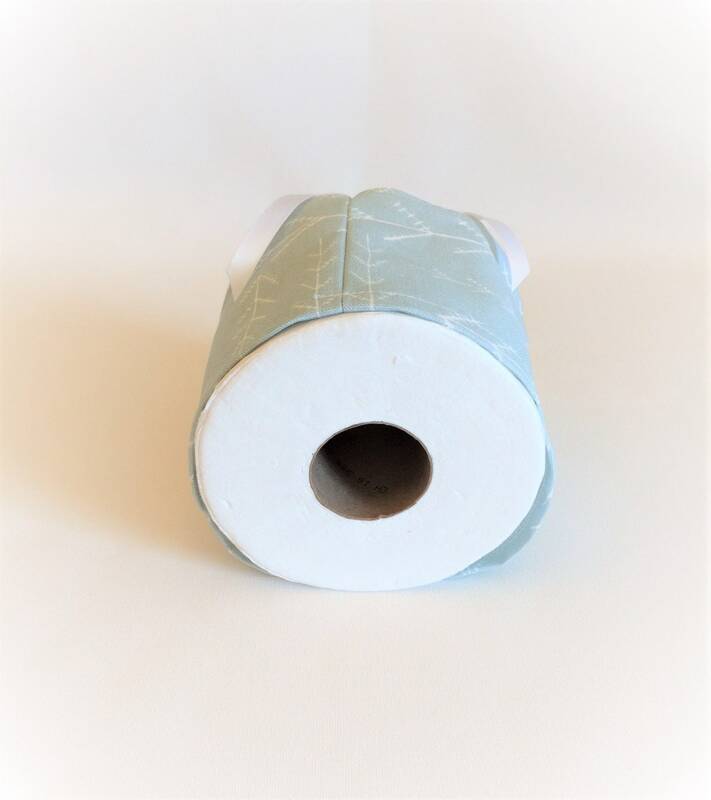 Dress up your spare toilet paper roll with this cute holder. 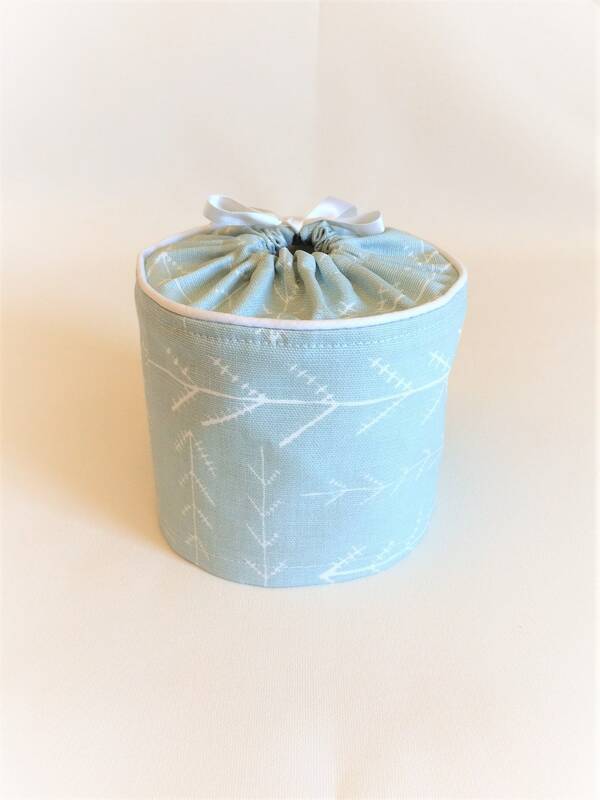 Easy to use, it simply slips over your roll, keeping it looking great until needed. 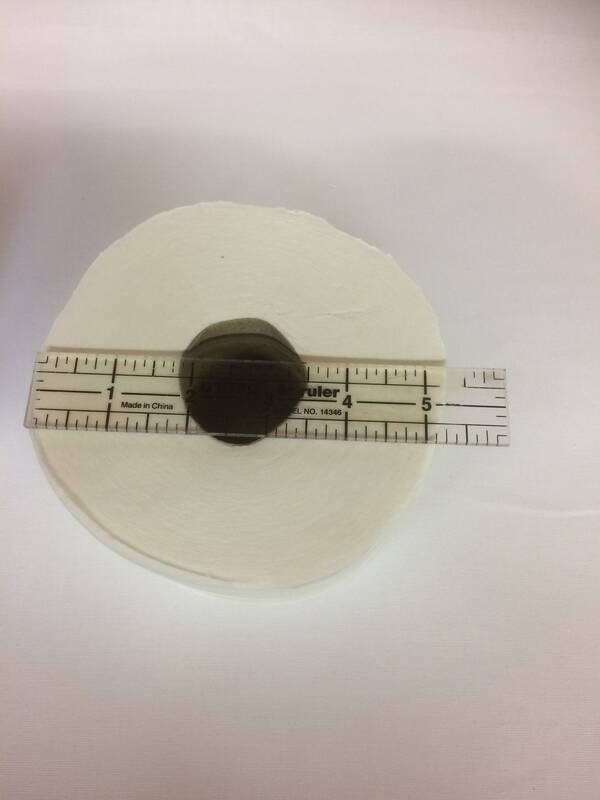 Each Toilet paper holder is designed to cover a standard size roll that measures 4 1/2" x 4". 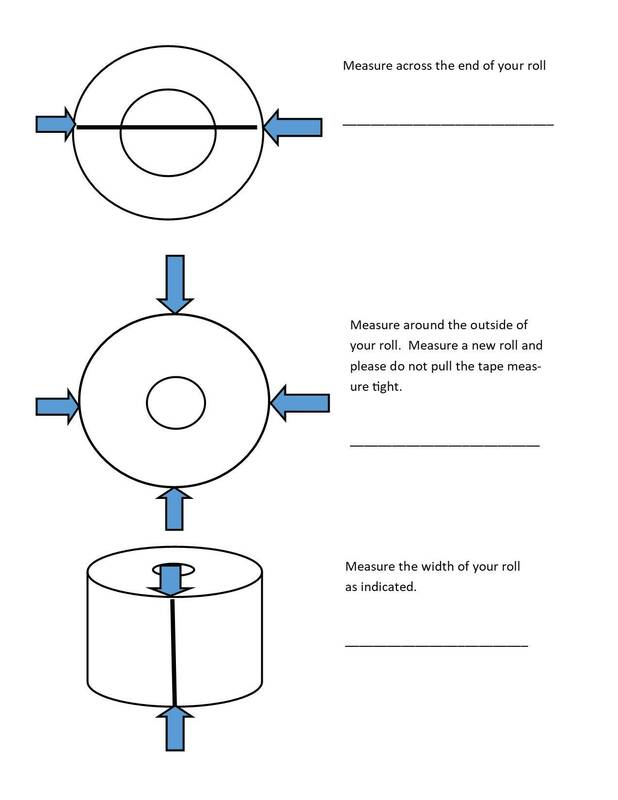 Please be sure to measure your roll using our handy guide in the photos. 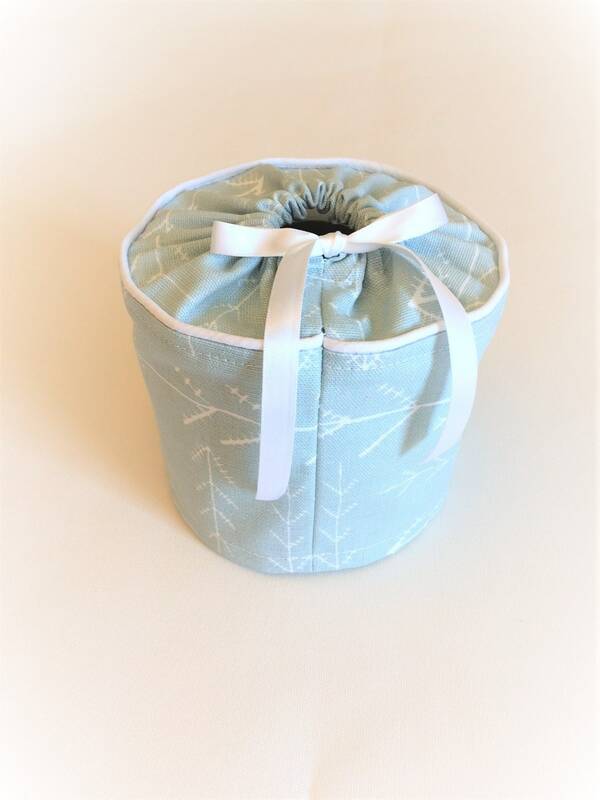 The fabric is a cotton print featuring a piping accent and a ribbon tie. 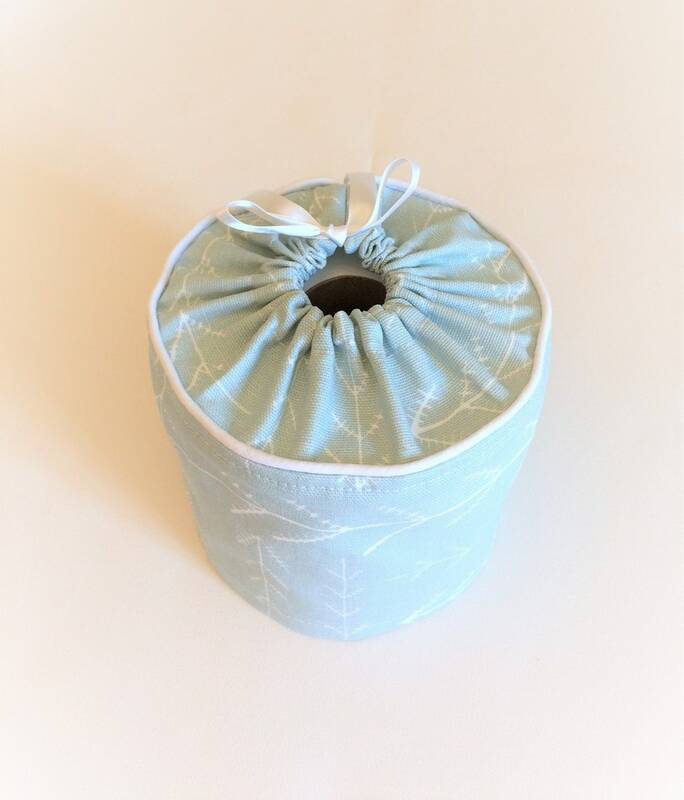 Slips over your standard size roll for ease of use. 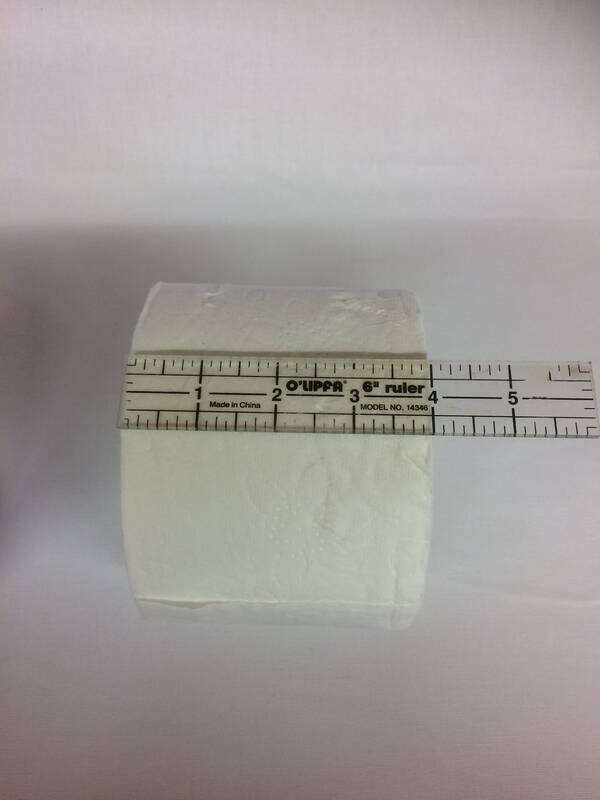 ~ Fits a standard roll measuring 4 1/2" x 4"
Once you have placed your order, it will ship the next business day. Tracking information will also be sent, allowing you to track your order right to your home. This is the ideal spare toilet paper roll holder. 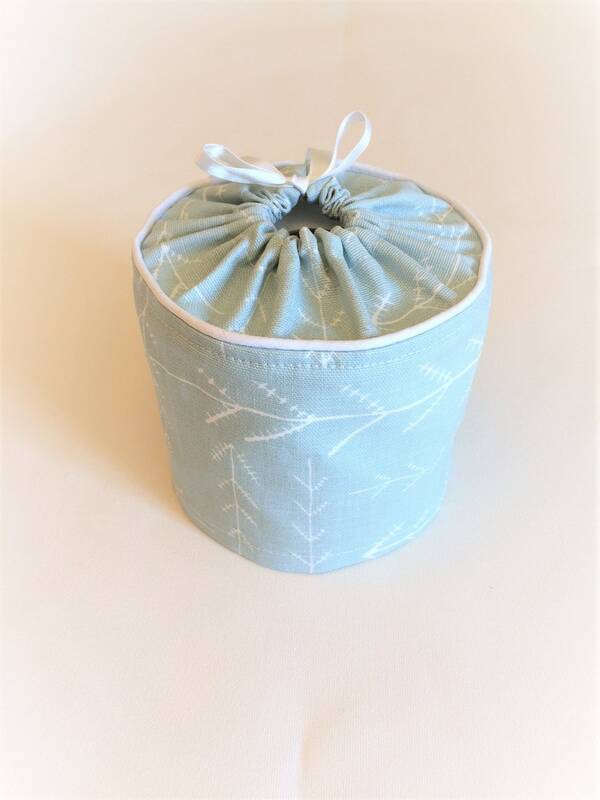 Easy to use, keeps your spare roll looking great until needed. Place your order now and it will ship the next business day with tracking. Need a larger size? Custom orders are always welcomed!